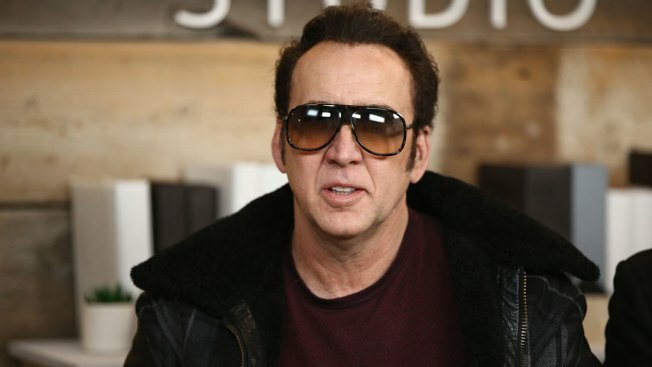 Nicolas Cage attends The IMDb Studio and The IMDb Show on Location at The Sundance Film Festival on January 19, 2018 in Park City, Utah. Oscar-winner Nicolas Cage, singer Halsey and rapper Lil Yachty will add their voices to "Teen Titans GO! to the Movies." Executive producer Sam Register says, "Every superhero in the DC Universe has an impact on the fans, so we felt a great responsibility to find a voice for each character that would not only suit the role, but the playful tone of the Titans." Cage is a major Superman fan. The actor named his son Kal-El, which was Superman's Kryptonian birth name. He also once sold an issue of Superman's 1938 debut comic for $2.1 million.